SAIS Creag Meagaidh Blog » More wintry now. (Above) Winter seems to have reappeared at Creag Meagaidh. 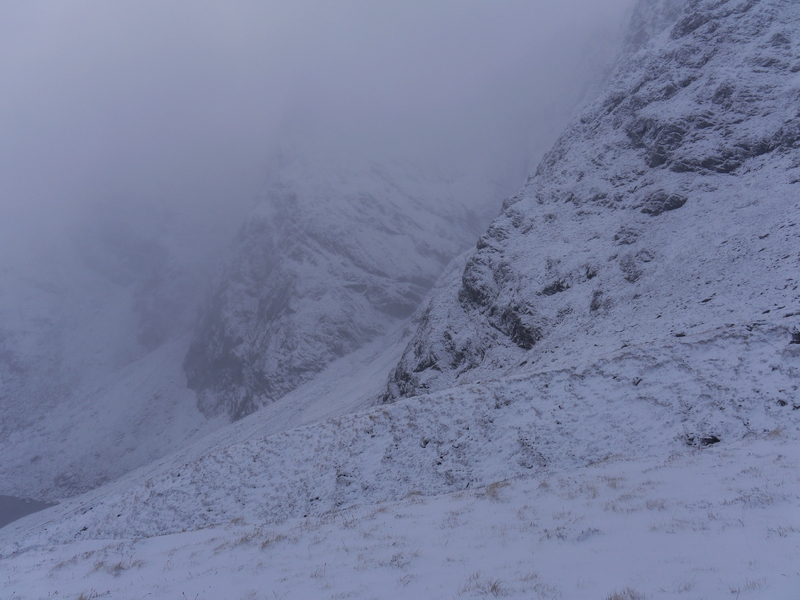 Quite murky all day but 5-10cms of snow on the ground in the Inner Coire above 800m with some drifting in places. Mid to lower reaches of all gullies still very rocky indeed. Photo: Looking across to The Pinnacle Buttress from the Inner Coire of Coire Ardair. Have you ever seen The Window completely levelled by snow? You will!